We offer a range of high quality and affordable dental services including: hygienist services, implants, Invisalign clear braces, specialist oral surgery, sedation for nervous patients, Denplan, emergency dental care and anti-wrinkle injections. If you are looking for dental treatment closer to Chelmsford, take a look at our other practice Dental Smiles Chelmsford. 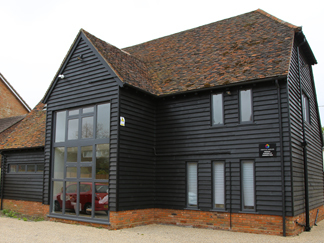 Dental Smiles Takeley is a Private Dental Practice which opened its doors in April 2016. We are located in a fully refurbished building to ensure we can provide the highest quality of dental care in a relaxing environment. We have plenty of free on-site parking. Dental Smiles Takeley was a Finalist at the Private Dentistry Awards 2016, in the Best New Practice category. We're open on weekends, and 8am – 8pm most weekdays, so you can book an appointment time that suits you. We understand it’s not always easy to get time off work or school for appointments, so we have dental and hygiene appointments available at the weekend. Dental Smiles Takeley works with some talented teams to bring a full range of dental care to you.